It may have been months since the news broke of Johnny Depp and Amber Heard's split, but the divorce proceedings are still going on, and now, a pretty gruesome claim has been made. TMZ claims that "Amber and her people" allege that Depp cut off his fingertip during an argument before dipping it in blue paint and writing Billy Bob Thornton's name on a mirror and the words "Easy Amber." TMZ's report claims that Depp thought Heard was cheating with her London Fields costar and claims he made these accusations last March, while he was filming the latest installment of Pirates of the Caribbean in Australia. Bustle has reached out to reps for Depp and Heard regarding TMZ's claims, but has not yet heard back. TMZ claims to have obtained photos showing Depp's injured finger — which the site claims are being used as evidence in Heard's domestic violence case against the actor — but before you look, be warned: They are very difficult to look at. 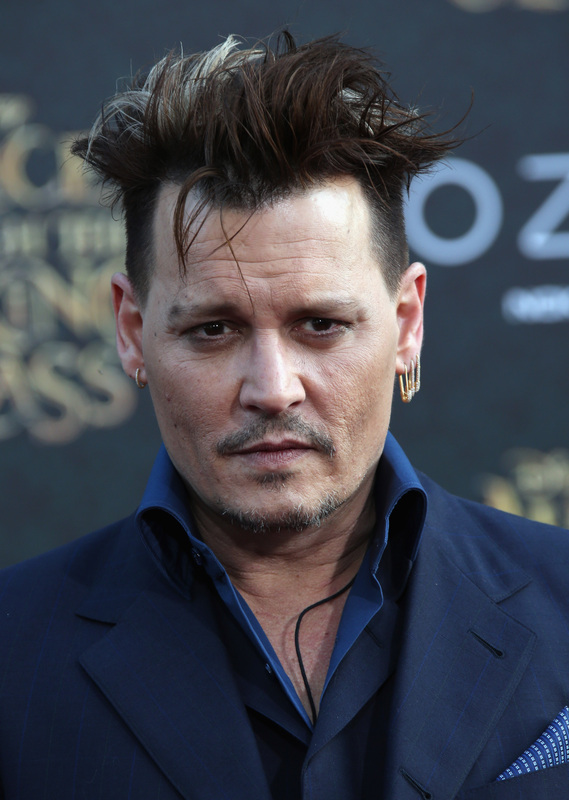 Depp previously denied Heard's claims of abuse through his lawyer, Laura Wasser, who told People in May, "Amber is attempting to secure a premature financial resolution by alleging abuse." In June, Heard withdrew her request for spousal support. According to People, in the declaration, Heard said the fact that she was asking for the money was being "used against me to distract and divert the public away from the very serious real issue of domestic violence." TMZ claims Heard alleges the injury to Depp's finger happened when Depp was smashing bottles and windows in a fit of rage, and that she also alleges he was drunk and under the influence of ecstasy at the time. The site claims that Heard's people allege Depp didn't seek medical attention until 24 hours later and that at that point it was too late to reattach the finger so doctors used skin from another part of Depp's hand to make a new fingertip for him. And as for the cheating rumors? Thornton has already spoken with TMZ and called the alleged claims of cheating "completely false."